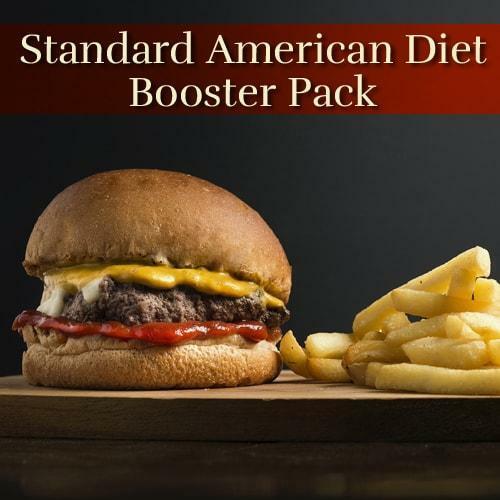 The Standard American Diet is the joke name for what is semi-officially called the Western Pattern Diet, but the acronym WPD is neither as funny nor as accurate as SAD. Now why was it created? The Standard American Diet began to form after WWII, when the hundred year old process of canning and the new techniques of food process foods started filling grocer’s shelves with items that had longer shelf lives and lower costs than fresh foods. It is far cheaper to process foods in bulk, remove nutrients that may cause them to spoil faster, load them with salt and sugar so that they last longer, then stick them in storage somewhere until they reach the shelf or drive-through you buy them at. Compared to the cost of having to deliver fresh, nutritional food to you within a few days of harvesting? It’s a no brainer for corporations. Everything. A lot has been said about how Americans eat far too many calories, yet we still get hungry at meal time, and crave snacks in between. Why is this? Buckle up. This may take a while. Well, the SAD can be broken down like so. 63% of all of our nutrition comes from processed foods. These foods have had their nutrients stripped out of them to extend their shelf life, and salt and sugar are added in order to make them more addictive, make you hungry more often, and extend their shelf life even more. A further 25% comes from meat, the vast majority of which is beef and chicken. Beef is loaded with saturated fat, which your body does not really need (or want) and is not as filling as good fats. Additionally, beef is low on useful proteins compared to most other meats. Chicken, on the other hand, is a good (but not great) source of protein, but is a terrible source of minerals and other micronutrients. That skin is also loaded with saturated fat. So that’s 88% of our diets that aren’t providing much in the way of healthy nutrition. Then there’s that last 12%, which comes from plant-based sources like vegetables, fruits, beans, legumes, nuts and seeds. 12% is a pretty SAD number, but it gets even more depressing when you know that half of that comes from French fries. Yes, a whopping 6% of our diets comes from trans and saturated fat loaded French fries, a portion equal to all of what we get from healthful plant sources. The result of this absurdly lopsided diet is that we get plenty of calories, but none of the nutrients we need to burn those calories, such as B-Complex vitamins, L-Carnitine, and Chromium. A lot of wood for the fire, but almost no oxygen. So we crave more and more food. After all, it’s also far more cost effective for corporations to provide you with food that keeps you hungry. 1340 Calories, which is 67% of the recommended amount (2000 KCal) for a lightly active person to maintain their weight. When looking at saturated fat, cholesterol, and sodium levels, bare in mind that the percentages here are the maximum recommended amounts, not the minimum like with other nutrients. This is something that should be noted on nutritional labels, but never is. Calcium is a strange one, because so much of our milk is fortified with it that you would think we are getting enough. However, not all dairy products are fortified. Cheeses, for instance, usually are not. We could get a lot of calcium from green, leafy vegetables, but we don’t eat nearly enough of those. Recommended Product: Osteo-CalMag will help you absorb the calcium you do eat, and you should add more green, leafy vegetables, too! Magnesium tends to go hand in hand with calcium, as they often come from the same sources. Recommended Products: They also have the same solution in Osteo-CalMag and expanding your diet. Vitamin A Best known for good eye health, vitamin A comes from carotenes, which are the things that give carrots and sweet potatoes their color. Recommended Products: Multiple. B-Complex vitamins are a mixed bag in the SAD. Some, like folate, are fortified in processed foods. This means that after the foods have been stripped of their natural nutritional value, some vitamins are added back in. You are supplementing some B vitamins and you don’t even know it. Some… but not all. In fact, B5 (Pantothenic Acid), and B7 (Biotin) are tragically low in the average diet. With the large amount of meat that we consume, we get enough B12 for children and young adults, but as we get older it becomes more difficult to absorb, and more essential to supplement with. Recommended Products: B12, Biotin Plus, BSlim Boost or Slender Mist Chocolate Fudge (or Slender Mist Berry Supreme). Vitamin C Citrus is just a squeeze away, but we still don’t get enough vitamin C in our diets. Don’t get me wrong, most people aren’t at risk of contracting scurvy. The situation isn’t that desperate, but it’s not exactly great, either. Recommended Products: C+Zinc has the bonus benefit of supplementing your zinc intake, which also tends to be low. Vitamin E The biggest dietary sources of this wonderful, fat soluble antioxidant are nuts and seeds, which the average person only snacks on rarely. Even when they do, they tend to drown them in salt. Recommended Products: E+Selenium, which like with Zinc, has the bonus benefit of supplementing your selenium intake. Another mineral you are in short supply of. Fiber is not your typical nutrient. There are two varieties, soluble and insoluble. Soluble fiber comes from oat bran, barley, nuts, seeds, beans, lentils, peas, and some fruits and vegetables. This is the type that may help lower your risk of heart disease. Insoluble fiber comes from wheat bran, vegetables, and whole grains, and is not absorbed by your body. Instead it makes its way through you, cleaning out your digestive tract and aiding in the regularity of your bowel movements. Both are important, and both are severely lacking in the SAD. Recommended Products: CardioMax contains some soluble fiber to aid in heart health, but the real answer is to expand the whole grains, vegetables and lentils in your diet! Omega-3’s and Omega-6’s Are most commonly found in fatty fish, but since fried cod and fish-sticks don’t count, most people get very little of these heart healthy fats. Recommended Products: Omega. Trace Minerals tend to be lacking even in diets with a moderate amount of vegetables, due to soil depletion. So you can imagine just how desperate the average person is for them with only 6% of their diets coming from vegetables. Recommended Product: Minerals.